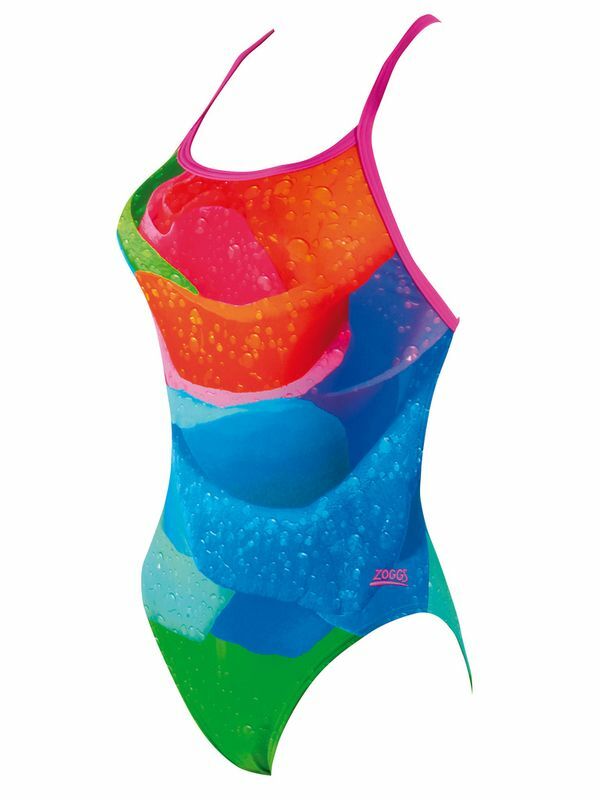 The Zoggs Rainbow Rose Womens Aquaback One Piece Swimsuit features a rainbow coloured geometric pattern. Thin pink adjustable straps come together in the back to form an aquaback design. The aquaback design allows for full range of movement and security for a streamline body position. Maximize your propulsion with this super sleek design.